With transformer supplied and operating satisfactorily in the harshest Gulf environments we have decided to go one step further and certify our transformers in the most stringent third party laboratories worldwide. Tested at CESI-Italy, various ratings and specifications of Copper-Cast successfully passed every single test that they where subjected to. Those tests ranged from the simple routine tests to the most complicated type and special test. All of this was carried out in order to give more confidence to our customers and potential buyers. In addition to a host of other tests and certifications. 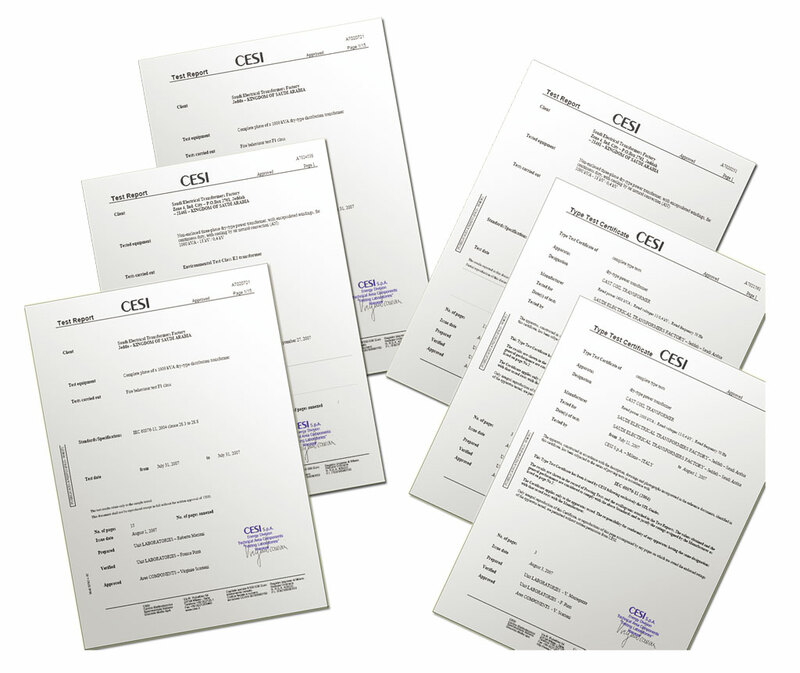 The huge success of each and every test gave SETF the very distinguished COMPLETE TYPE TEST CERTIFICATE from CESI, which can be provided upon request. Those certificates are nothing but another indelible proof of the supremacy of SETF transformers and their flawless performance even when subjected to harshest conditions and situations. We at SETF work tirelessly to provide you with the best options and alternatives around, for a safer, cleaner and more powerful solution when it comes to your transformation needs.